ASUK promoting research initiatives for all rare diseases on a European and International level. ASUK are part of many European and International groups who share experience, knowledge and collaborate to enable research into rare diseases now and in the future to bring hope to those affected. 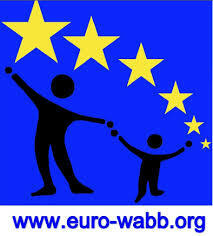 The Euro-Wabb project is an European registry for Alstrom Syndrome, Bardet-Biedl Syndrome, Wolfram Syndrome and other similar rare diabetic conditions. The project aims to bring together clinicians, researchers and patient organisations from across Europe to use the registry to increase knowledge and improve the lives of those affected through better management, treatments and developing further research through clinical trials. Asterix is an EU funded research project focusing on the development of more efficient and effective research projects to ensure rare diseases have the same opportunities as more common conditions. This is through studying new drugs, treatments and investigating further to learn more about rare diseases. Asterix actively encourage the voice of patients throughout the research process, acknowledging that often in the field of rare diseases, it is the patients and family members who know more about their condition than the medical professionals involved. ASUK is a member of their Patient Think Tank group to ensure patients voice is always at the forefront of any developments; ensuring patient perspectives are taken into account when clinical trials are being designed. IRDiRC brings together researchers and organisations to develop rare disease research through new therapies and improving diagnosis. ASUK is actively involved in this work to ensure developments take into account the needs of patients at every stage. On the 9th August 2017, IRDiRC issued their new goals for 2017 – 2027, this is mainly due to their previous goal of developing 200 new therapies by 2020, already being reached in early 2017, three years earlier than expected. ERN’s are being developed to create a clear structure for sharing knowledge, expertise and care coordination across Europe to improve diagnosis and access to treatments. ASUK work closely with the clinicians at BCH, QEH and EURORDIS to ensure AS is categorised correctly and actively part of this network. 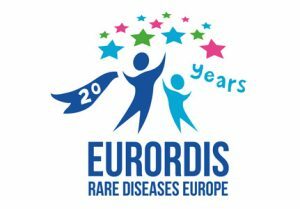 EURORDIS not only promote and shape ERN’s but bring the rare disease community together. EURORDIS-Rare Diseases Europe is a non-profit alliance of 761 rare disease patient organisations from 68 countries, aiming to work together to improve the lives of the 30 million people living with a rare disease in Europe. They bring together the rare disease community to shape research, policies and patient services. ASUK are also actively involved as a member and patient representative in the EURORDIS Paediatric Committee (PDCO) to develop research and medicines in the paediatric population.